A selection of country animal ties with animal motifs. Wildlife country tie themes include stag, fox, hares and more. Each tie has stitched motif detail. We are pleased to be able to say that many of our ties are completely manufactured within the United Kingdom from weaving the material at the mill to sewing the material to make up the tie. A smart, navy blue tie with a running fox motif made from pure English silk. A green tie with running hare design made from beautiful silk and wool challis. 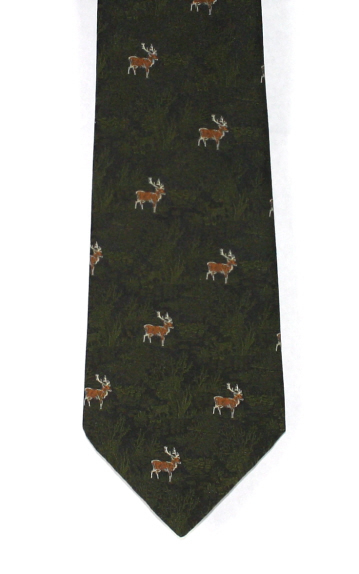 Embroidered stag tie with stags head motifs on a dark muted green luxury necktie made from wool and silk challis. Great tie for country clothing. 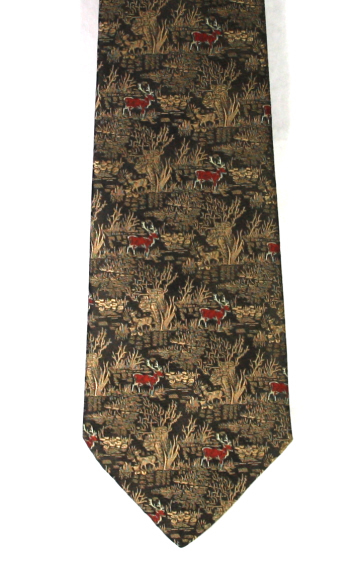 An elegant embroidered fox tie with standing foxes in a repeat pattern made from pure English silk. An elegant embroidered fox tie with detailed foxes motif in a repeat pattern on a navy blue background. Made from pure English silk. Beautiful fox tie with foxhead embroidered motifs on an olive green background made from a combination of silk and wool challis. Made in the UK. An attractive hare tie with an embroidered sitting hares pattern in a repeat motif. A charming hare necktie in an embroidered repeat motif on a red background. An attractive hare tie made from a combination of pure silk and wool, with sitting hares motif on an olive green background. An extremely smart fox tie with reddish brown embroidered foxes motif in a repeat pattern on a burgundy coloured background. A beautiful fox tie with reddish brown embroidered foxes motif in a repeat pattern on an olive green background made from pure English silk. 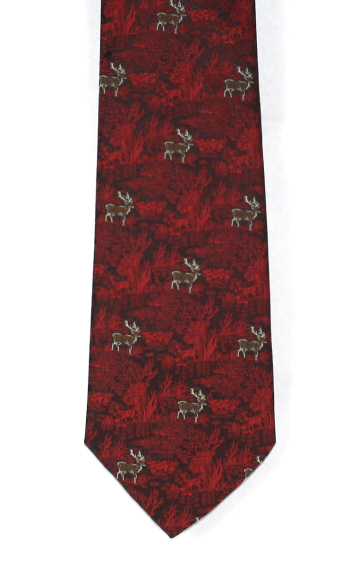 A beautiful hare tie with running hares racing across a wine coloured background. Made from soft silk and wool challis. Looks great with country attire! An embroidered fox head tie design on a soft wool and silk blend challis material.